Today I completed the March 2014 Mandala of the Month. Yay! I added finishing touches to the blue, pink, orange and green sections, and completed the light bulb area. I used gel pens, markers and watercolor crayons. Here’s the slideshow of my progress for today as I put on the finishing touches. 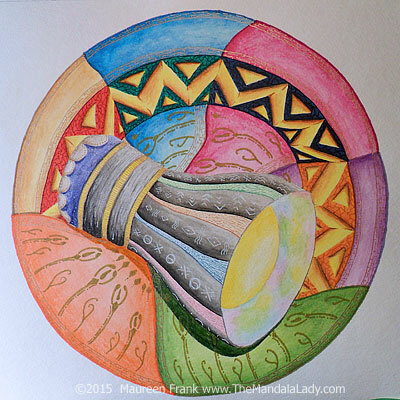 If you would like to color this mandala, you can download it on my Mandala of the Month blog. You can ponder it’s message of “Consciousness” as you color.